is "good" and there is NO difference in using the one or the other. 128, 256, 512 and 1024 will "cover" page sizes up to 64 Kb in EXACTLY the same manner. Thanks Wonko for giving details on first sector value and page sizes. Tested on 2 external USB devices and working great. Thanks alacran for testing UEFI_MULTI in making BCD and menu.lst entries on USB for VHD WIMBOOT. I have used UEFI_MULTI also for the case of booting from USB and VHD + WIM located on NTFS partition of GPT Or MBR internal hardddisk. I think now all possible cases are treated allright by UEFI_MULTI for making the boot entries. You read my mind, I was thinking on this scenario and coming to comment it to you, but as you allready said now all possible cases are allready covered by your great tool. 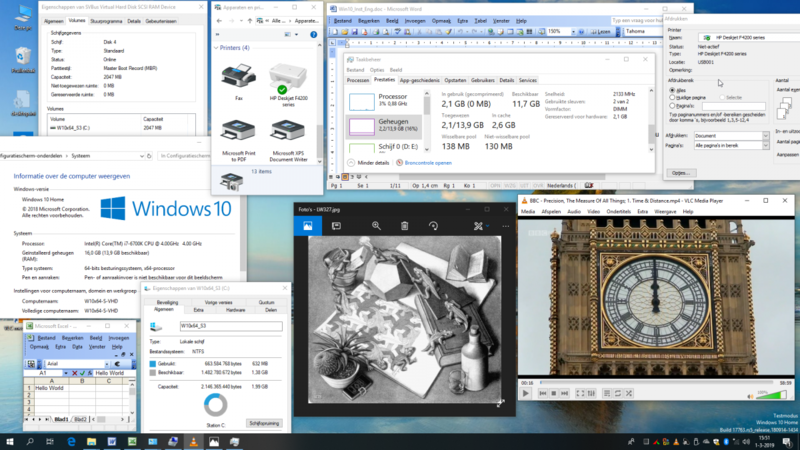 By the way thinking in diferences and benefits from Ramboot and WinPEs, when running a portable wimboot install only thing I miss from WinPE's is usually they do not care about NTFS permissions, to facilitate the work when making offline changes to other OSs. I know ChrisPE uses AccessGain, but since you have your own tools to make WinPE's since long time ago, I think you may have some other candidates we may add to our VHD before wimboot Capture and Install. I think AccessGain is the way to go and I don't have another tool for this purpose. 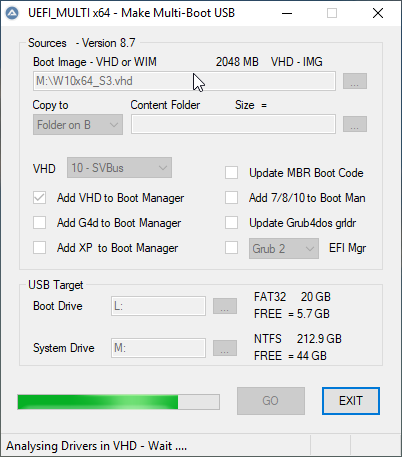 I have used VHD WIMBOOT booting from Portable SSD now on different hardware. On Unknown hardware first a VHD of 5 GB is preferred in booting as FILEDISK so that there is enough space to install all drivers. After this learning step we can do CAPTURE and APPLY to VHD of Size 2 GB and boot from USB with Grub4dos from RAMDISK. On each machine it takes extra boottime to adjust the drivers for that machine. Also returning on original machine takes extra time to readjust the drivers. The VHD WIMBOOT solution is Portable, but not as flexible as Win10XPE, where boottime is not dependant on machine hardware. 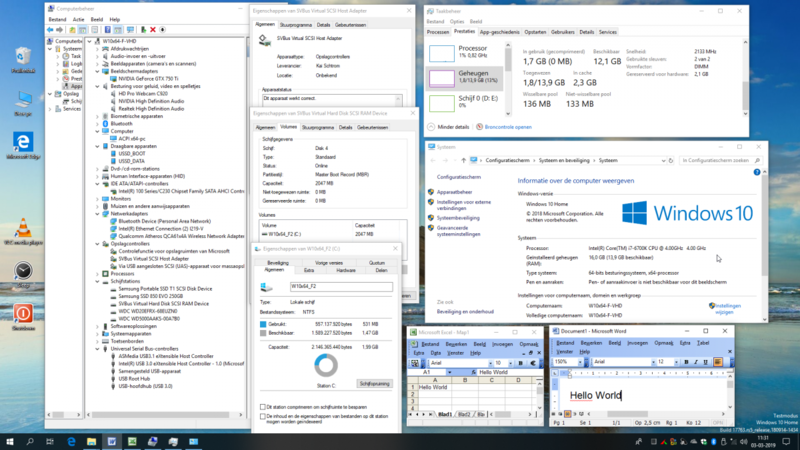 I use to create my first full standard install on VHD from 10 or 15 GB and I have used also expandable VHD only on this first install, (yes now WinNTSetup let you use smaller sizes, some time ago 25 GB was the minimun possible), then on this VHD I install all I will need running on my final OS, and a single wimboot mode capture is enought, and finally a wimboot mode install to VHD is required. \Windows\System32\drivers\svbusx64.sys -----> This should be the only required (if any). \Windows\System32\DriverStore\FileRepository\svbus.inf_amd64_de3077296e6085bf\* -----> I think this is not mandatory, but it do not hurt. And the full section [PinningFolderList] can be deleted to do not have anymore the warning about Unrecogniced Section: [PinningFolderList], this section is a new addition on 1809, it do not exists on the WimBootCompress.ini of my running 1709. Another comment is select tricks during WinNTSetup install (like disable hibernate and no pagefile) is required only the first time you make an install, since when we capture the OS on the VHD all this is allready done and we do not need to do it againg next time we deploy new captured image, since it is as a Backup image, for that reason I usually run CCleaner and defragment before a capture. Twice using Capture is not really needed, but it reduced again the used size inside the VHD after Install of the driver and booting from USB. Also I found it a nice illustration on how you can reduce the size after install of extra programs or after adding drivers of other machines. In that case the sequence CAPTURE - Format - APPLY carried out on mounted VHD results quickly in the original present free space, since all file data go in the WIM file. You are quite right that the second time in WinNTSetup we must not use any tweaks or tricks since they are already present in the CAPTURE wim file. Nice to hear your comments on the VHD_WIMBOOT.pdf manual. Yes, this is a good way to re-gain space on the VHD after some time of use and/or installing more programs since first install. Something like this are the lines for grub4dos menu.lst, applied by UEFI_MULTI when VHD is located on any partition of internal HD 1 (hd1), but they generate a BSOD. The lines quoted are used as an example, actual title applied is a little different. So we may say for RamBooting a VHD from internal disks, we need to use hd number (according to grub4dos) where VHD is located + 1 in our menu.lst for grub4dos RamBoot. 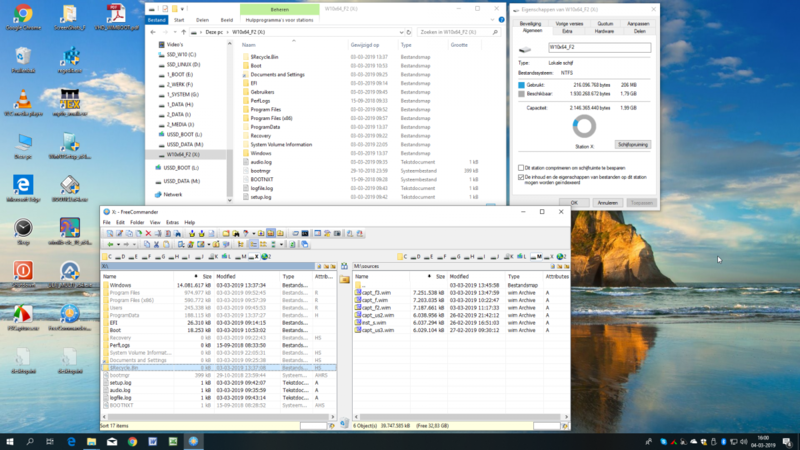 EDIT: On one PC VHD and wim file are located on internal MBR HD (hd1,5), on another PC VHD and wim file are located on internal MBR HD (hd0,6), and both work fine with my approach. I suspect that the way different BIOSes will react may be different. How about map mem as (hd1) and WIM-containing drive as (hd0). This will make sure WIM-containing drive is not hidden. mem as (hd0) and WIM-containing drive as (hd1). Once again you had the answer. EDIT: JFYI VHD and wim file on this PC are located on internal MBR HD (hd1,5). Haven't tested on another PC where VHD and wim file are located on internal MBR HD (hd0,6), but I don't see any reason to fail. Thanks very much for your interest in trying to help in this subject. Tested first Wonko suggestion and it worked fine, haven't tested any of your suggestions since the problem seems solved. On the other hand IMHO it is better to deal only with one variable (the VHD location) than two (the VHD location + the souce wim file location) since the number of possible combinations will be increased. Anyway that's only my opinion as user, I am not the developer of UEFI_MULTI, wimb will have to take all decisions. wimb reported something, and then reported that that same something once automated in grub4dos didn't work, and that something else (automated in grub4dos) worked, then alacran reported yet something else, and that yet something else once automated in grub4dos worked, now you propose yet another something. As said I suspect that different BIOSes may number disks differently (or that how many disks are present in a given system may make a difference) and I am pretty sure that reports are either incorrect or partial or "a suffusion of yellow"
What you reported makes no sense. The snippet I posted was an example to let you make tests, it cannot possibly work as "disk+1" because I simply (intentionally) did NOT increase the disk number, and ONLY showed a way to have the disk number. EDIT: I thought I was selected the wrong title, but it was not the case. I was using this time 8.1x64-WB.vhd to run the test. After all I have found 8.1x64-WB.vhd do not matter what hd we map it Ramboots anyway, see post No. 170 for detailed tests. Mapped drive number has to be the drive number of files location +/- 1. Mapped drive number has to be the drive number of files location + 1. Thanks alacran for reporting issue with WIMBOOT menu.lst entry for the case of VHD + WIM located on internal harddisk and booting from RAMDISK. I am working now on other computer and have similar issue as you reported. Thanks to Wonko for giving elegant solution which is working here OK for that other computer. Next week I will be able to test on my original computer, but hopefully the menu.lst code will be good for that case too. Thanks karyonix for help in finding a solution, but I think the code given by Wonko can be used quite well. After all, my previous report was correct. I thought I was selected the wrong title, but it was not the case. To be fair, my code is (I believe) more readable, as it uses the common grub4dos convention of (hd0) first disk, (hd1) second disk, etc., BUT falls short in case (rare) there are more than 10 disks (i.e. any disk higher than (hd9)). The code by karyonix uses the BIOS disk number, i.e. (128) first disk, (129) second disk, etc. and has not the same (not common to happen in practice) issue as mine. May be a typing error ? cannot actually work (again typos/copy&paste error/whatever. And it worked fine, I deleted intentionally the line, thinking it was not required in my case. Since from: root | set myroot= <- root and thus myroot value is (hd1,0) Filesystem type bla bla bla ------> we are rooted on hd where VHD is located. Anyway I already tested again without and with the line I errased, (just as Wonko example) and both ways Ramboot fine, it seems to me line 2 overwrites line 1. Wonko is right in saying that in that case mydisk is undefined as used in your menu.lst entry. The single line that Wonko proposes is OK.